Submitted by Sean Clark on Sat, 2018-09-15 04:04. 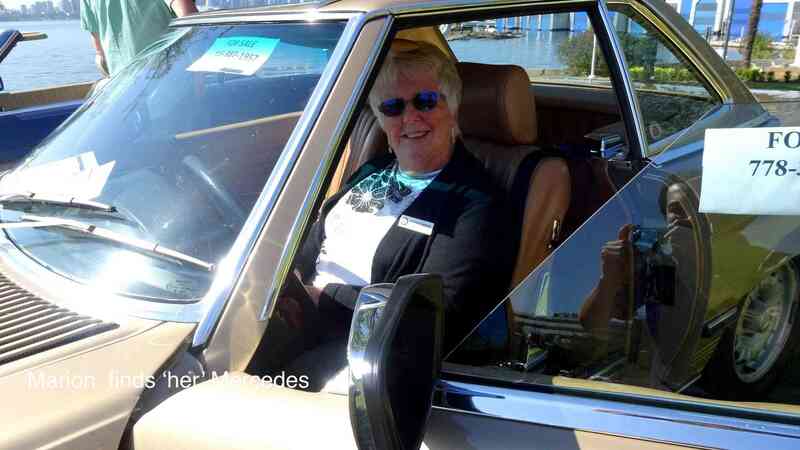 On a glorious summer day at Waterfront Park, the MBCA BC Stars were proud to join with the public for our 2018 Show & Shine. 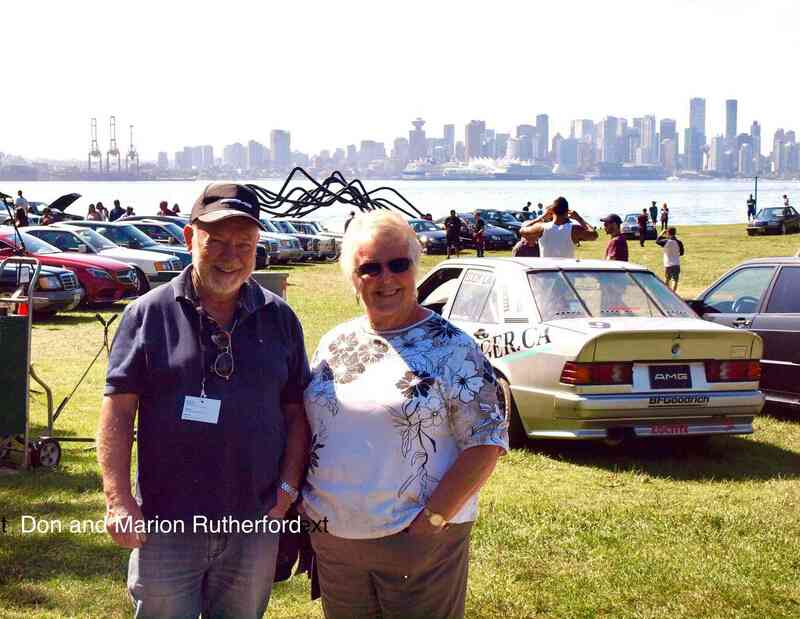 Over 80 cars came out to fill the beautiful setting, overlooking the water and the Vancouver skyline. This year’s theme celebrated 35 years of the W201 chassis, complementing the Legends of the Autobahn in Pebble Beach, a week before. The organizers, Tony Millikin, Matt Peck, and Yen-Hsen Liem, ensured that we had an impressive showing of four Member 190E Cosworth 16 Valves, and two very special, iconic, feature cars. With the help of Car Builder and Racer, Eddy “Flying Tiger” Lai, we were able to display Eddy’s 1999 Championship 250hp Cosworth-powered, 190E race car, and a very rare EVO II factory 2.5-16 Valve. Many thanks to both Eddy and Andrew. We were also very honored to have as our guest, MBCA National Vice President, Steve Ross. It is not often that we have the opportunity to entertain an Officer from National, and we were very grateful that he came up so we could show him what we do up here, in Canada. 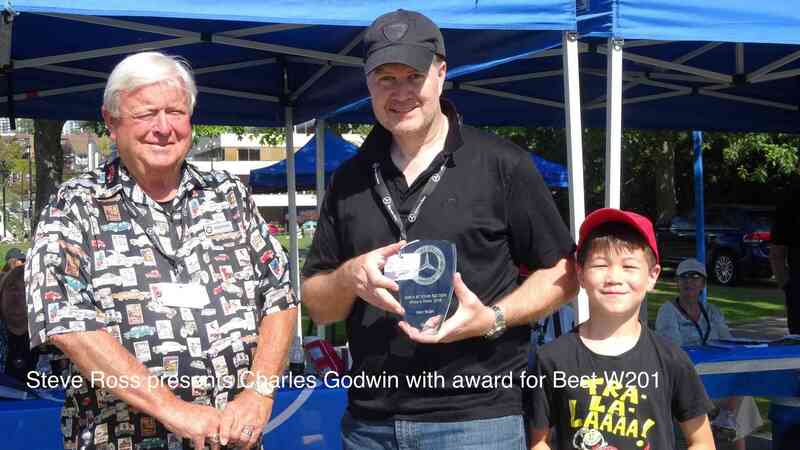 Steve mingled with our Members and the crowd, and then graciously spoke to our group and presented the Awards for us. A proud Hardy Suelzer finally took delivery from Mercedes-Benz, of his long-awaited satin-white AMG GT-C Edition 50. We all watched as he pulled off its special car cover in front of the crowd. 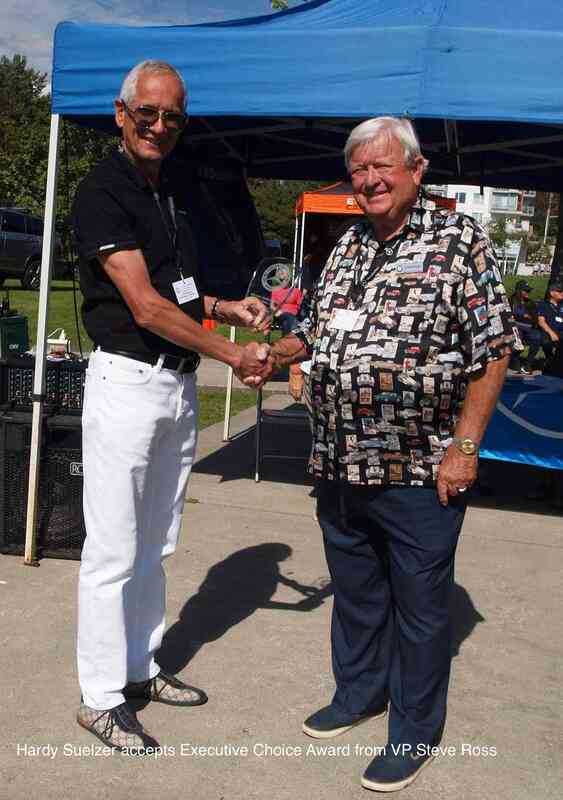 Steve Ross presented Hardy with our show’s Executive Choice Award. 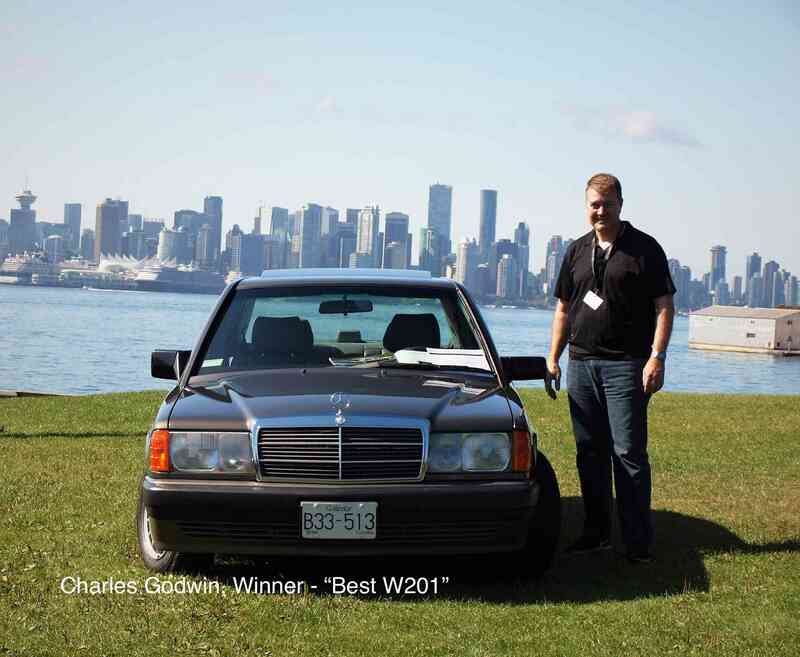 In keeping with the W201 theme, Steve presented Charles Godwin the award for Best W201 in Show, for his immaculate 190E 2.6. Chris Straub received Honourable Mention in the Executive Choice category, for his exceptionally restored 450SLC. Once again, our Members and guests really came through for us. 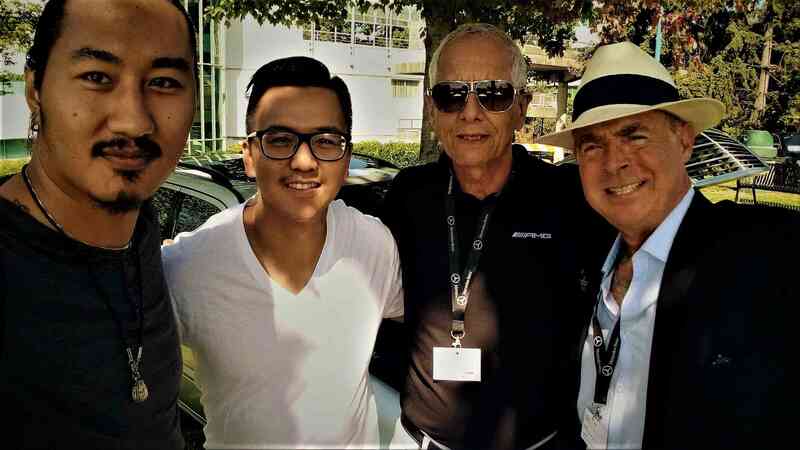 This year, the Mercedes-Benz Vancouver Retail Group’s Kai Wang, donated door prizes and brought down three display cars, including a lovely S-Class convertible, and an AMG GT-C! Not to be outdone, Member Ron Price, brought both his SLS “Gullwing” and his pretty AMG GT Coupe. 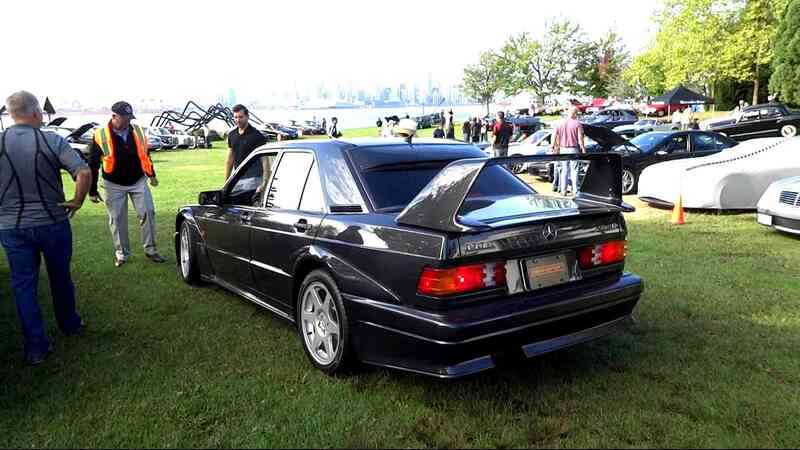 We had a great variety of other modern performance cars, E55’s, and some powerful V-12 S-Classes. Gary and Linda Pullyblank surprised us by arriving in their impressive new S550. A summer garden setting was perfect for SL’s. The beautiful Gandomi 190SL was joined by several smart and sophisticated Pagodas, and the R107 chassis cars were lined up in a colorful row of reds, yellows, blue, and even purple!! There was a good showing of Fintails, W108’s, and even a spectacular black Ponton. We really appreciated the whole-hearted participation from our sponsors, especially those who came out to give their demonstrations at our show, Mapletech/True Sound, Everything Car Care, and Autolift. As always, our thanks to Kai and Mercedes-Benz, for their fantastic support. As our premier annual event, Organiser Tony Millikin and our steadfast volunteers worked especially hard as a dedicated team, to make this year’s event truly impressive. To our video and IG bloggers, we are glad you enjoyed the show and look forward to working with you again. Thank you. A special thanks to Steve and Carol Ross for visiting the show, and staying on to share some stories afterward.